Are you looking for Latest Manual Testing Jobs in Pune, Delhi NCR, Gurgaon, Bengaluru, Chennai, and Hyderabad?? Are you looking for Java Jobs in Chennai, Bengaluru, Pune, Noida, Delhi NCR, Vijayawada, and Mumbai?? Click the Bell Icon on the link in the post to get latest Jobs updates. Symantec Software India Pvt Ltd.
As an Automation Quality Assurance Engineer, you will work with enterprise application testing expertise. You will join the team for hands-on, pro-active, self-motivated and seasoned SQA professionals. 4+ years experience in Automation and Manual testing. 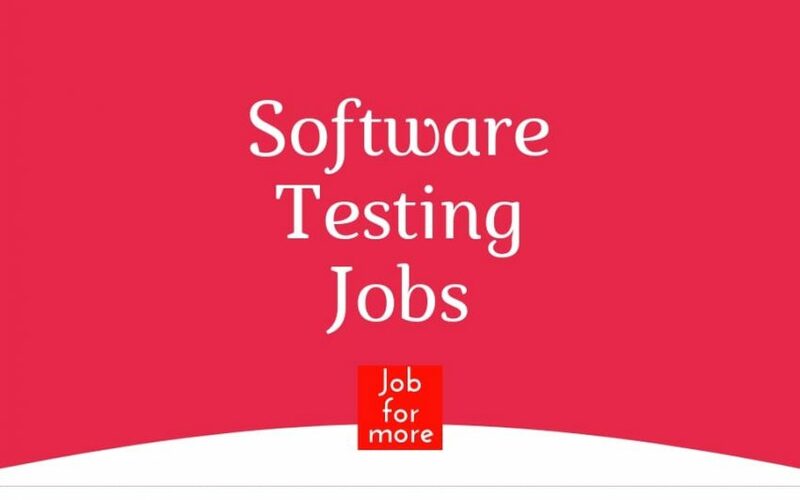 Must have hands-on expertise in software testing. technologies such as Java, Robot and Selenium Technologies etc. Strong networking knowledge is a must. Must have good hands on expertise on UNIX Operating System. Write test plans and test cases throughout the development lifecycle. Ensure test plans thoroughly cover all requirements and use cases. Plan, schedule and perform manual and automated software tests. Develop automated regression test suites using automated testing tools. Advanced knowledge of system development lifecycle, methodology, and testing knowledge is a plus. Solid knowledge of manual as well as automation testing tools for Web & App products like Selenium, Appium, Charles, JMeter etc. Working knowledge of Relational databases like Mysql and Backend programming languages like PHP, Python is a plus. The selected candidate will be responsible for assuring the high quality of our software products. Knowledge of Quality Assurance Testing methodologies and systems will be an added plus. Knowledge of Software Testing Life Cycle. More than 8 years of experience, in which around 3-5 years of experience in Selenium C#. Working knowledge on BDD/specflow is a must. Should have a working knowledge of SOAP/REST automation using C#. Should be capable of handling client communication. Should have been working as a lead and carrying out lead activities (Status reporting, defect triage etc.). Should have experience in cross-browser testing. Shore Infotech India Pvt Ltd. Responsible for the requirement analysis. Ability to work on test development using automation tools (Selenium).Involve in manual regression and exploratory testing. Flexible to work in shifts and adapt to changes in Strong written and verbal communication skills Ability to work independently in Agile development methodology. The detailed approach in analyzing the defect verification and validation. Address:201 202, Plot # 171, Kavuri Hills (Phase lI)Madhapur Hyderabad, Telangana, India 500083. Fujitsu Consulting India Pvt. Ltd.
Resource should have strong working experience in Core Java and Web services with good communication skills. Resource should have good knowledge of Shell scripting. We are planning to hire for Java professionals having 3 Years -6Years of relevant experience in Application Development using Java /J2EE with Struts and PLSQL for our Greater Noida location. 3 years of relevant experience in Java/J2ee with Struts and PLSQL out of 3-6 years of Total IT Exp. Experience in product development life-cycle and product process oriented agile development environment. Experience with MAVEN and ANT is Mandatory, including experience with Continuous Integration build environments. Experience in databases like SQL/MySQL is desirable. 3-9 years of experience in software development (design, coding, system engineering). Proficient with Java SDK, J2EE, Spring, JDBC and SQL, REST/SOAP API development. Experience developing using Agile Scrum methodology and reporting progress through JIRA. Code management experience using SVN or Git or other version control system.